Encore Steel Buildings offers metal building kits of all times for residents and businesses across Mississippi. Our metal building kits are completely customizable to fit any need, are made with the highest quality materials and competitively priced. 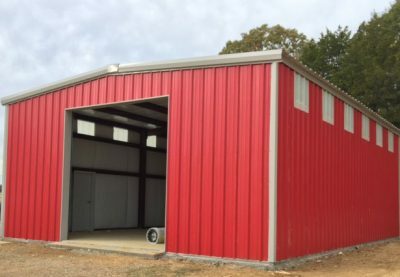 If you are looking for a steel metal building kit in Mississippi, contact us today at our Southaven office for a FREE quote. 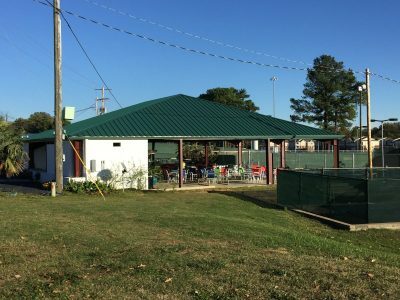 The 60 x 60 x 10 steel pavilion for the Olive Branch Country Club provided a comfortable outdoor space for their members. Encore pavilions go up quickly and are fully customizable for size and color. Encore Steel Building’s all steel pavilion kits are great for communities that need a functional and practical shaded area. This metal shop in Senotobia MS is a great example of the options Encore can offer residences and businesses. This metal building kit is versatile and ideal for extra storage or a workshop. The shop pictured is a 30 x 40 x 14, and fully customizable in various styles and colors. Visit our steel building guide to explore options. Our metal retail building kits are a great solution for small local businesses and national chains. 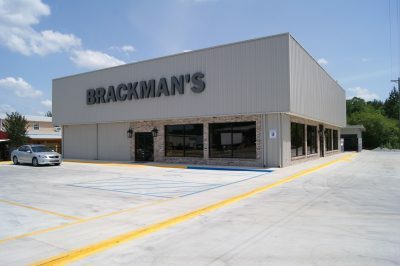 We provided this kit for Brackman’s Mower Warehouse in Hattiesburg, MS. It provides storage for all of their equipment and products and a shopping space for customers. If you are looking for a functional solution for your retail space, consider erecting an Encore steel building. 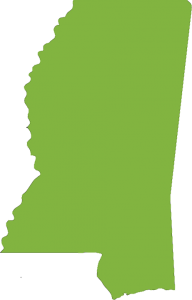 Self-Storage Building Kits for Southaven Storage in Southaven, MS – Encore provided metal self-storage building kits for many storage companies across Mississippi. These business owners chose to work with Encore because of our design capabilities, professional service and competitive pricing. Encore Steel Buildings has a location in Mississippi to serve the businesses and residents of The Magnolia State. Contact our office in Southaven at 866-614-9153. Also be sure to check out our metal building specials for discounts and deals on a number of our most popular metal building kits.